While the new Civic Si disapointed many Honda fans, with its modest wheel and tire combo and mediocre acceleration, this Civic Type R is a screamer with performance perhaps a bit faster than the Acura RSX Type S. With the same engine of the RSX-S powering a lighter car in a smaller body, performance is by no means a disapointment. Handling is right there with the big guys also. This car was meant to win in racetracks and not dragstrips, however, at 14.9 seconds in the 1/4 mile at a speed of 95 mph, the Civic Type R is also fast by its class standards. The only car probably faster is the Neon SRT-4 with its torque monster turbo engine. But in the twisties, the Type R is in a class by itself, challenged only by its upscale cousing, the Integra Type R. If Honda manages to sell this car in the US, I'm sure the Si's price will go down to fit this rocket in the market. And no worries with the RSX, since the Civic Type R is a bare bones racer, while the RSX is a sporty luxury coupe. 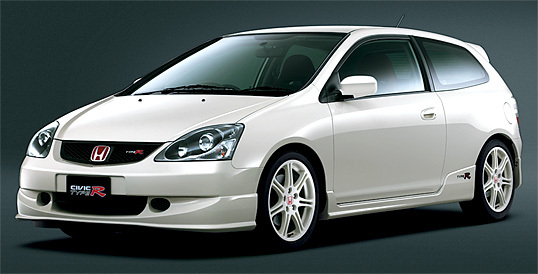 UPDATES: The Civic Type R has received a few changes for model year 2004. 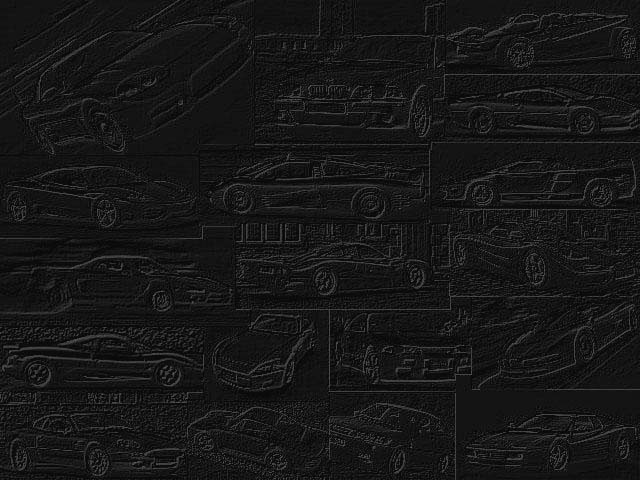 Power has been raised form 197 to 212 bhp (that is 200 PS and 215 PS respectively). Weighting only 2624 lbs, this engine easily propels the CTR through the 1/4 mile in just 14.5 seconds. But as always, what makes this little beast so great are its handling capabilities, which puts it next to some higher priced performance supercars. This gives the CTR acceleration virtually identical to the Integra Type R, with the ITR being just a shade faster. Exterior changes include new headlights and more aggresive bumpers. These changes only make the Civic Type R a more desirable road rocket.